On 2 June, at a governmental meeting on oil industry problems, Alexander Lukashenka blamed managers and the government for lacking an adequate development strategy for the industry. The Belarusian oil industry showed negative results in 2016. Belarus and Russia decided against the idea of a unified visa in favour of mutual visa recognition. Belarus should fear the informational war between Russia and the West, not a hypothetical occupation during the West 2017 military drills. 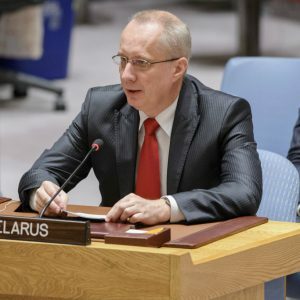 According to former foreign minister Piotr Kraŭčanka, the national idea of Belarus should include shared values and identity, historical memory, language, consensus on domestic and foreign policy, and a market economy. Deputy State Secretary of the Union State of Belarus and Russia Alexei Kubrin reveals single visa plans. The Ministries of Foreign Affairs decided to shift from a common document to mutual visa recognition. Thus, a person who receives a Belarusian visa will be able to travel to Russia with the same document. The first draft of the bilateral agreement has already been prepared, writes Soyuznoe Veche. The sides decided to abandon the idea of a ‘Union's Schengen’ because a single visa works better only when many countries are involved. Belarus and Russia deciding to introduce a single visa would be a bureaucratic nightmare for migration and border services. Moscow and Minsk now recognise that they both provide migration security at the necessary level. Russia will not occupy Belarus during West 2017 military drills. The head of the official Union of Journalists of Belarus Anatoĺ Liemiašonak criticises an article by Ukrainian military expert Alexei Arestovich's, in which he argues that by 2020, Russia will occupy Belarus and launch a second offensive on Ukraine. Russia and Belarus remain close allies, and military exercises such as West 2017, scheduled for September, take place regularly. Moreover, they always involve foreign observers, writes Respublica. Belarusian leadership has repeatedly stressed that the Russian military contingent will not remain on the territory of Belarus after the drills are over. The author also points out that the EU itself can be considered occupied, as a large number of US bases and military contingents are located on its territory. Instead, Russia and Belarus need to prepare for informational warfare, as the presidential elections in Russia are approaching and Putin's enemies will do their best to end his political career. This will also threaten Belarus, the author argues. Aliaksandr Lukashenka acknowledges the failure of the Belarusian oil industry in 2016. Last year saw a negative trend in foreign trade in oil products. The government has invested a large amount of money in oil refinery modernisation, but without any result. 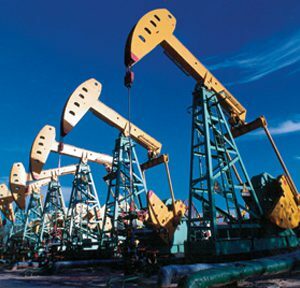 Undoubtedly, global affairs played an important role, as oil prices fell two and a half times. Nevertheless, managers working in the sector failed to determine a development strategy for the industry. The government also failed to develop a clear course of action, reports Zviazda. This question concerns the independence of Belarus, Lukashenka asserted. The country must do everything to ensure its energy independence and security, but the contribution of oil refinement to the economy of Belarus, unfortunately, is declining. For example, the contribution of the two refineries is now equal to that of the national telecommunications company Beltelecom. 'Once again, I want to stress that we have failed many modernisation projects. I will not allow the President's decisions to be devaluated and neglected', the Belarusian leader said. Belarusian industry cannot rely on foreign investments. Belarus Segodnia writes that in 2002-2016, Belarus received $76bn of foreign direct investment. More than half of it ($40bn) came from Russia, $16bn from the UK, $6bn from the US, and $4bn from Switzerland and Cyprus. However, much of the money that came through Cyprus was most likely Russian. Real western capital comes to Belarus very rarely. Even less of these funds reach the real sector of the economy, as they mostly invest in trade and services. Industry is modernised either by state funding or foreign loans. The current plans for MAZ modernisation will hardly see any foreign financing either. Deputy Prime Minister Uladzimir Siamaška said that the government plans to invest about $500m in the development of the plant and is looking for sources of money. 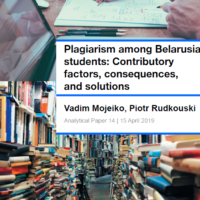 The article concludes that the proper work of national industry remains a purely domestic concern, and can be supported only by Belarusian taxpayers. Belarus needs a new national idea. Foreign Minister of Belarus from 1990 to 1994 dr. Piotr Kraŭčanka offered his vision for a national idea on the pages of Belarus Segodnia. According to him, the nation should be built on shared values and identity, market economy, historical memory, language, and consensus on domestic and foreign policy. He also brought up the possibility of introducing private land ownership. Meanwhile, the revival of the Belarusian language remains crucially important for the formation of the nation. It should be equal to the Russian language in state policies not only formally, but in practise, he argues. Belarusians need to come to a national consensus regarding foreign policy and external economic orientation with the West and East. Kraŭčanka also suggested recognising and honouring national activists of the past, including those of the Belarusian People's Republic, whom the current Belarusian government neglects. The government gradually eliminates unemployment. The level of registered unemployment today is 0.9%; a year ago the figure was 1.2%, reports Belarus Segodnia. The authorities achieved more than last year's goal of 50,000 new jobs, but this year's goal of 70,000 seems more challenging. However, the government may yet meet the targeted figure, as it created 15,742 jobs in the first quarter of 2017, while the plan required 15,000. The figures for each region vary, but the only region that failed to fulfil the plan was Minsk Region. Local officials explain that some new companies registered in the region have not yet managed to create production and employ staff. The other reason lies in the companies' migration to the capital.